Tony Bingham, President and CEO, congratulates the Eastern PA Board for meeting the Chapter Affiliation Requirements (CARE) for 2019! "I’d like to personally acknowledge and thank you and the chapter leadership team for your accomplishments and for going above and beyond the CARE requirement. ATD recognizes that the value you provide to your members through well run chapter programs, services, and exceptional operations is the result of the individual time, resources, innovation, thought, and dedication you and your team contribute. 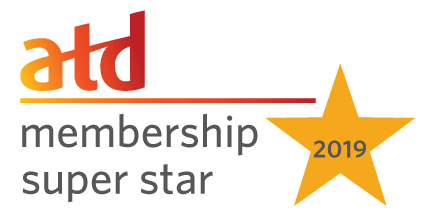 Thank you for your time and for partnering with ATD to provide and sustain a vibrant community serving our members and the entire talent development profession. I look forward to continuing to engage with you and the chapter!"